Looking back, becoming a Jedi has been a wonderful experience, and was probably the greatest choice I ever made. It seems, however, that the one thing that had always drawn me to Star Wars and the entire notion of the Jedi, has been the myth. All religions and societies of the world have them. It is the mystery behind them that has always intrigued me. The idea of becoming part of some greater or more dramatic lifestyle, in which you are called upon to be the hero. That is something that seems to be the driving power behind many myths. Which, it seems, is not far from the truth in real life. I am a firm believer that absolutely anything is possible—something a lot of people have a hard time agreeing with. But I say, Why not? Why can’t we achieve whatever we desire? The lesson I have learned as a Jedi is that there is no reason that prevents us from doing so. It is a simple matter of having the strength of commitment. To focus on an objective, without ever straying, can be very difficult. It doesn’t have to be, though. 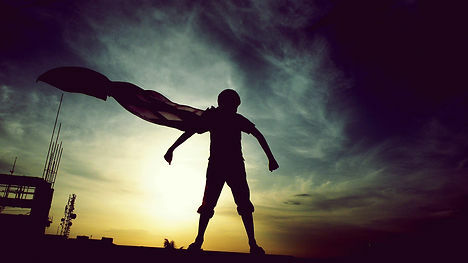 If you can look deep inside, and find your inner strength (your Force-nature), then you will become today’s hero.